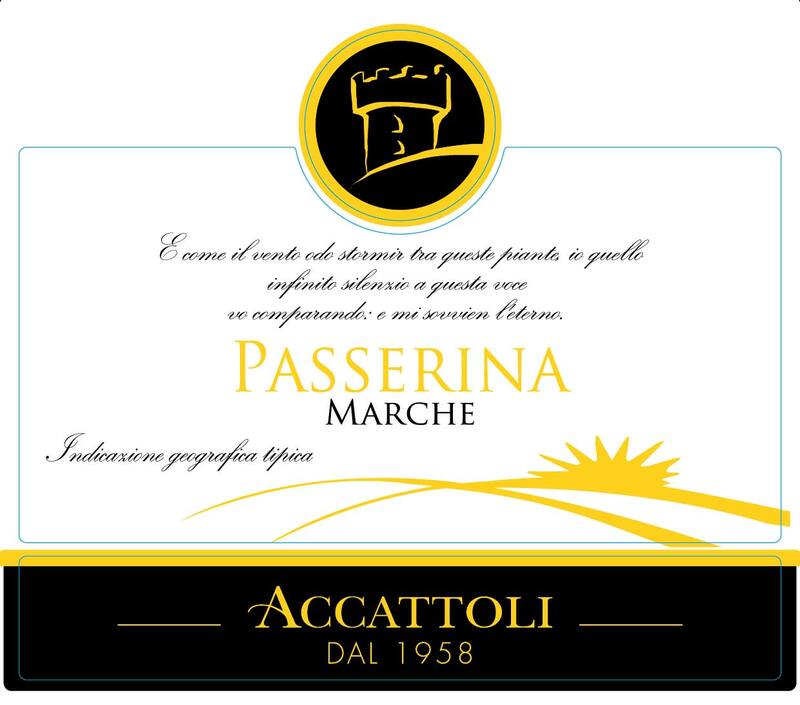 Passerina is an ancient and traditional grape variety used in the white wines of the Marche wine region close to the Adriatic sea in central Italy. The name comes from Passero meaning "sparrow" in Italian, a bird known to Italian vinegrowers for its appetite for ripe Passerina grapes. The Italian "–ina" suffix is diminutive, and indicates the relatively small size of the grapes often devoid of seeds. 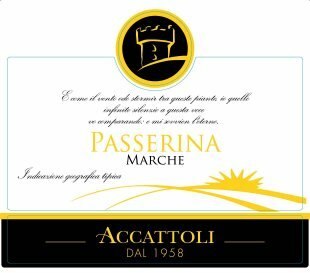 Passerina is also know by the names Uva Passera, Campolese, and Trebbiano di Teramo and sometimes Pagedebit. The grapes are harvested at the beginning of September. Front label translation: "But the moment I hear the wind rustle through these leaves, I compare that sound with infinite silence, and I call to mind the eternal." Tasting Notes: This wine is soft and elegant with bright fruit and lemony overtones. Perfect with fish or anytime of the day. Vinification Technique: After a light pressing, the prime must is rapidly cooled and then goes through static decantation. The alcoholic fermentation takes place in steel tanks with the temperature maintained at between 14°C and 16°C, and continues for about 8‐10 days.All the stages of production, from picking to bottling, are carried out in the absence of oxygen, in order to preserve the primary aromas of the grapes and achieve greater freshness of flavor and bouquet.